How does the floor plan of the International Space Station looks like? Where is the bathroom, toilet, bedroom, gym, …? Are they connected with corridors? Is there a first floor, second floor, third floor? 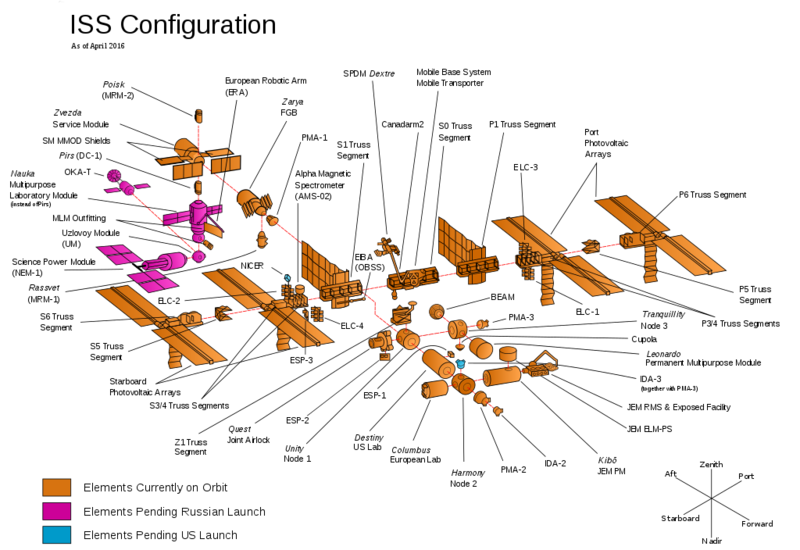 This picture shows the configuration of the International Space Station (ISS). This question is from https://www.ikhebeenvraag.be , a website where you can ask a question. Scientists give the answer.